Class of 1952 reunion photo! Read More Class of 1952 reunion photo! Class of 1968 Reunion pic! Read More Class of 1968 Reunion pic! Read the 2018 Annual Newsletter here! Read More Read the 2018 Annual Newsletter here! Albion Concert Series Alumni Alumni Only News Chevrons Do You Remember Eagle In The Spotlight Events Follow-Up Fundraisers History Homecoming Meet Your Board Members Milestones Music News Newsletters Photos Reunions Scholarships Sports Spotlight Students Take 5 Series Teachers Throwback Thursday Uncategorized What's New? Where are they now? 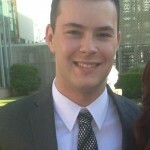 Alumni Follow-Up News Where are they now? 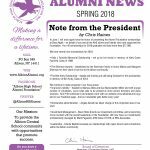 Alumni Follow-Up What's New? Where are they now?